As you can see, I am new to the forum and new to making my own brew. I joined so that I can bone up on the dos and don'ts for a first timer. 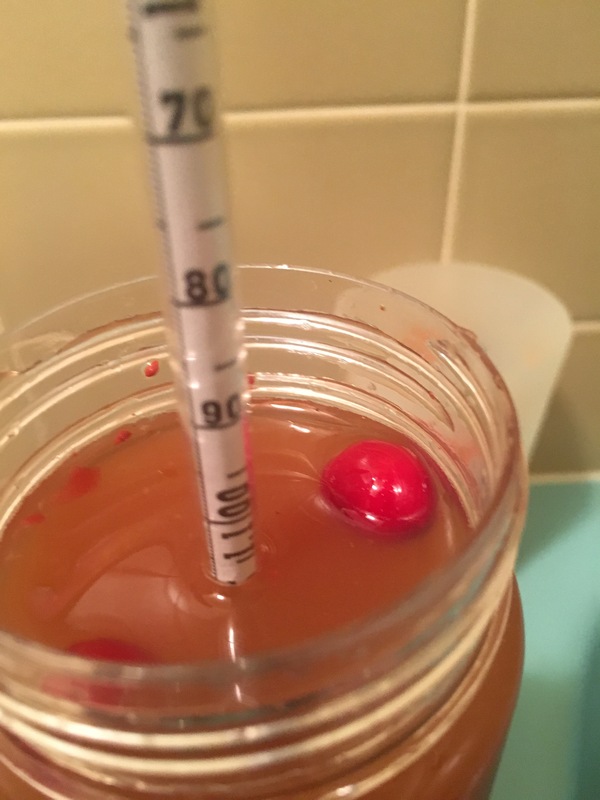 My primary initial interest is to gain some info so that I can attempt to make something similar to Snowbelt Cyser from Crafted Artisan in Ohio my home state, it's a spiced cranberry apple mead. I'll be poking around and looking at posts in several of the sub forums here trying to compile the necessary info, since it appears that cyser kind of fits a few of them. I have been given a large quantity of honey from my neighbor, which is what is leading me in this direction, I also have a couple of apple trees, so cider is not a problem. My wife and I really like this mead/cyser and I hope that I can do it some justice in my attempts to mimic it, but that may be a bit optimistic for my first attempt. I am leaning towards some sort of champagne yeast maybe EC-1118? From here, the journey is only in the research phase so as to avoid as many mistakes as possible any info and direction is much appreciated. I'm already learning, what a great forum. It looks like the amount of honey that I will need will be equal to whatever amount it takes to get to ~1.10 SG. Also, I am thinking I will make this similar to the way red wine is made in regards to using the cranberries as a must and may chop up a few apples as well and do a punch down method for ~24-48 hours. I know it's several months away, but I am also considering adding vanilla bean and a few sticks of cinnamon at secondary fermentation. I have also seen that I may want to start off with a different yeast and use the 1118 at secondary. I'm not up on what you are choosing to make, but, I would suggest doing like 1 gallon batches. You could do all separately and mix a known volume after fermenting is done... You'd know what your after then. Sanitizer... that is mandatory... There are a few options out there, I would venture to say, star san is popular around here. Thanks for the quick reply @sneezles61, yes I do have a hydrometer and a few other things, for making wine. I just never got around to making anything. A couple of years ago I had grand ideas of starting a vineyard, in hopes of eventually opening a winery. Unfortunately, (as I get off track) that never came to fruition, but it has slightly prepared me to take a hobbiest approach at making a few drinkables. I plan to start the fermentation in something similar to a Rubbermaid tote or something similar, that I will likely place in an upstairs bath tub(which we do not use at all), we also keep the upstairs quite cool through out the winter months less than 68F. After a few days I will likely xfer it to a couple of glass carboys with airlocks. Again thanks for the reply, back to work for now. I agree with @sneezles61 do 1 gallon batches to get your recipe down. When I do fruit Mead I'll do 2 lbs honey to a gallon of water with 1-2 lb of fruit. I use Cote de blanc wine yeast comes out nice. Champagne yeast will bring it down dryer so it depends what you want. Is the cyser your trying to make vwery dry or sweet? I'm assuming it's carbonated. I don't carbonate mine . It is carbonated, and I would consider it to be off dry. Possibly a stupid question here @brew_cat, but would the cider be considered fruit, or can it be substituted for water. I guess what I'm asking is should I figure out how much cranberry flavor(or tartness) that I want and split the weight of the cider and cranberries and then add water with the honey to make it more miscible. I think what your asking is could you use 1 gallon of apple juice instead of water? Never tried it but I'll bet it would work. I would try maybe 1 lb of honey 1 gallon juice and 1lb crushed cranberry with Cote de blanc yeast. Step 8: Add 1/2 tsp each nutrient and energizer and stir. My plan is to ferment to dry or as dry as the yeast allows. I expect an attenuation of 13-14%. Just a guess at this point. I will rack as it settles and before bottling into champagne bottles I will add some sort of apple juice or apple concentrate to carbonate the cyser. Thank you to everyone for the assistance and I hope I haven’t offended anyone by going against the suggestion of small batch. I feel that I have done some pretty good research and will be happy with the final product. I found some fresh frozen cider that a guy at work pressed this fall it also contains some pears. The cider SG 1.040 is lower than the original batch. I also was more careful to not exceed 1.100. This time around my OG came out to be 1.098. Everything else is planned to be the same. At the 24 hour mark I stirred(open ferment) tested SG 1.097 and added nutrient and energizer. I really wasn’t sure what to expect and still really am not but I know that it is doing more than the first attempt. 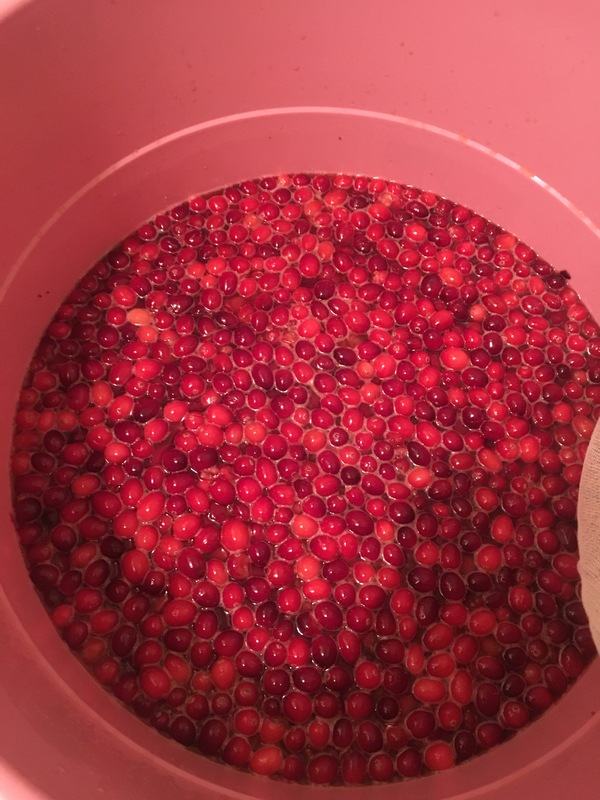 Also this time around I ran the cranberries through a food processor rather than crushing them in the bag. I feel this was a good choice since I now have a much more desirable color than the previous batch. I’m wondering if I should have waited to add the nutrient and energizer. Should I hold off until the next sugar break. The energizer is DAP and magnesium sulphate and the nutrient is DAP and urea. Maybe I should only use one form of DAP, honestly didn’t notice that until just now. I also have NB nutriferm energy, should I use it in place of one of the others? I will post pics of the final product. I have to say that this turned out to be quite delightful with a nice golden color. Subsequent batches of this will have a lower alcohol content. I would highly recommend this recipe but at a lower OG. The yeast was also the perfect choice as I have friends whom prefer wines on opposite ends of dryness and both sides have highly complemented the cyser. Unfortunately I was not able to carb this batch which I do think would help with the alcohol content.